The Han Gil Hotel is located in Dallas and was shut down on March 7. 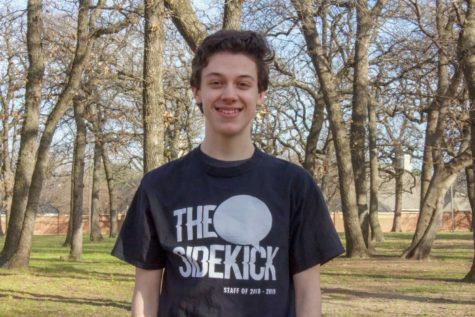 While active, drug deals, violence, sexual assault and deaths occurred at the hotel, which has impacted current and former Coppell High School students. But within minutes of when Assistant U.S. Attorney of the Northern District of Texas Rick Calvert began discussing the case of the Han Gil Hotel, I found myself leaning forward in my chair, consumed by a story that got worse and worse the more it unraveled. 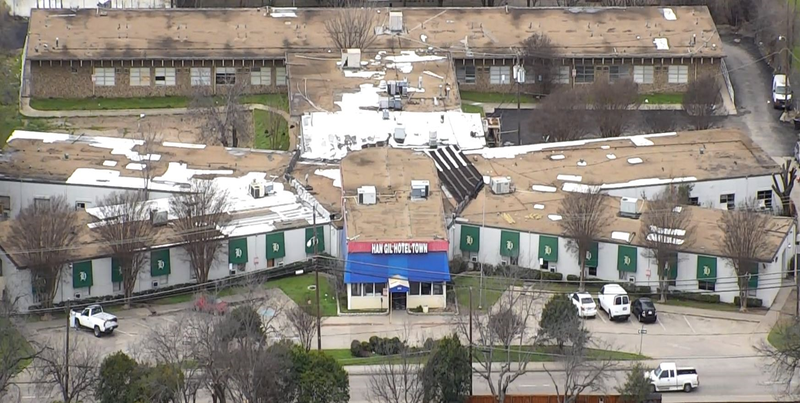 The Han Gil Hotel – located just 19 minutes from CHS in Dallas – was a haven for drug deals, sexual assault, violence and even several deaths. The hotel owners allegedly allowed drug dealers to operate within guest rooms in exchange for payment, and buyers could use the drugs they had purchased inside the rooms. The Dallas Morning News said as of March 8, a day after a task force raided the hotel, prosecutors said there had been “three deaths, two shootings and numerous drug-related incidents over the past eight months” at the premises. What made the story even more chilling is that among the local drug-related deaths over the years includes CHS graduates. Robert Wilonsky of The Dallas Morning News investigated several such cases. One is Tommy McClenahan, son of Pinkerton physical education teacher Colleen Michaelis. At age 24, he died of a heroin overdose. According to a friend, McClenahan had visited the Han Gil Hotel before, Wilonsky writes. McClenahan is just one CHS graduate who fell victim to the influence of drugs and the Han Gil Hotel. Another former student, Calvert said, wanted to speak at the assembly about what led her down the path to addiction and how she became involved in the hotel. Because she is in jail. Stories such as these really put the consequences of substance abuse into perspective. Previously, school presentations regarding these serious topics never truly left an impact on me. I would think, I know these things are bad. I won’t do any of them. So why do we need presentations about them every year? However, learning that something as inconspicuous as the Han Gil Hotel ruined the lives of many people from my own community made me realize just how real these problems are. One mistake, one poor decision, can ruin a life – or take one away. These schoolwide discussions are important because they can address misconceptions and allow students to understand the consequences of their actions. I learned way more about heroin and other drugs through Calvert’s presentation than I would have liked to – at times I physically felt uncomfortable in my seat – but I’m grateful I did. Many students may think they live in a bubble, that Coppell is too small or too dull for drugs and violence to present a serious problem. Calvert’s presentation and others are important to burst this bubble and expose the truth. To address this drug issue and others, CISD will continue to bring speakers to talk about these topics with students and community members. According to Hunt, a partnership with the Coppell Police Department, Irving Police Department and Dallas County Sheriff’s Office has led to several arrests of high school students for drug possession. While the issue and effects of drugs on our own community may be confusing or concerning, the efforts CISD is taking to bring awareness to the problems – such as Calvert’s presentation – are important in putting an end to it at a young age. Students should recognize and appreciate this. Maybe these school assemblies aren’t always incredibly interesting. Maybe they make you uncomfortable. Maybe you won’t be as fascinated in the discussion as I was with the Han Gil Hotel. Regardless, these talks serve an important purpose: to keep us students safe and informed, and prevent us from making that single mistake that could ruin our life. Awesome. Thank you for spreading the word. Thank you for the student perspective on Mr Calvert’s talk. Your articles are consistently clearly written. Anthony, great job on the well-written article.